Lisa uses tuning forks, crystal singing bowls, Paiste gongs, drums, crystal pyramid, and voice to apply sound directly on or over the body. Sound helps to heal on all levels: physical, mental, emotional, and spiritual. It is deeply relaxing and brings harmony to the body and mind. Each session begins with some dialogue and an evaluation of what you would like to focus on that day. You will then lay on a massage table, or floor is you are receiving a sound bath, and relax. You may see images, colors, pictures or have various sensations or emotions arise. Each session is different depending on your intention for that day and any questions you may be seeking answers to. The focus can be on almost anything. In a Sound Meditation, you will receive a miniature version of a sound bath in Lisa's treatment room. While lying in a comfortable position, Lisa plays the sounds of planetary gongs and crystal bowls to re-tune your body, mind, and spirit. One or two gongs and a few special crystal bowls are used during this meditation session. The experience is highly relaxing and therapeutic for stress release and realignment within yourself. You may experience this sound meditation alone or with a friend. There is a three person minimum, and an 8 person maximum space limit. 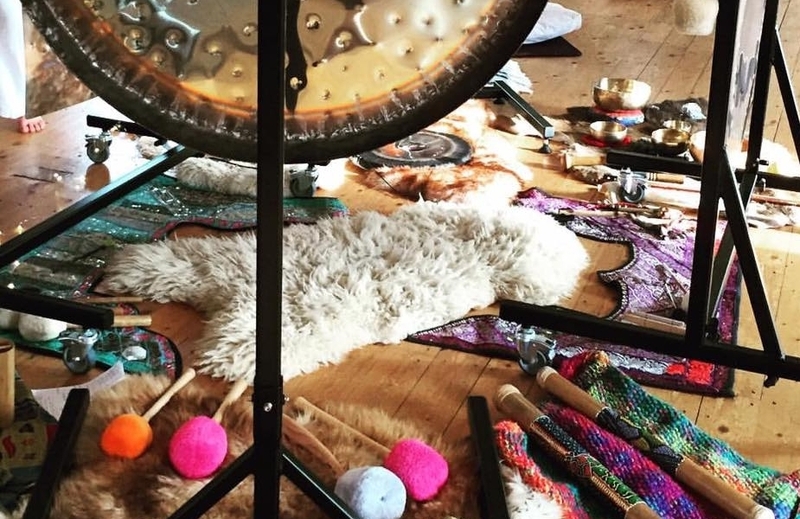 Looking to buy a gong? Techniques for Playing: The Sound Healing Way. Different Types of Mallets do different things. Your voice is a holographic picture of your health. Through the technology of Voice Bio©™, the independent frequencies within your voice can be captured, translated and sorted onto a voice print chart, giving a highly accurate indication of physical function in your body. Missing frequencies in your voice have been shown to correlate to weak organs in the body. The missing frequencies are reintroduced into your system on the sound table. You then get the CD to take and use at home. Assessment and 20 minutes on the sound table with a song in the key of the frequency you need. I also send you MP3 of the CD. Approximately 1 hour total. 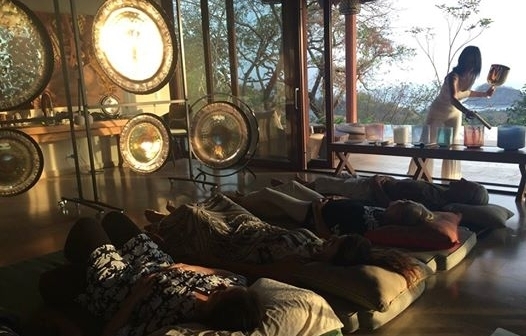 Contact Lisa for group gong meditation and private events.